The caterpillar is polyphagous, but probably prefers Onobrychis and other Fabaceae. Chlorissa viridata inhabits warm, wind protected grasslands in wooded area or with hedges. Besides, locally also Calluna heaths and fallen dry bogs are inhabited. According to literature the pupa hibernates. 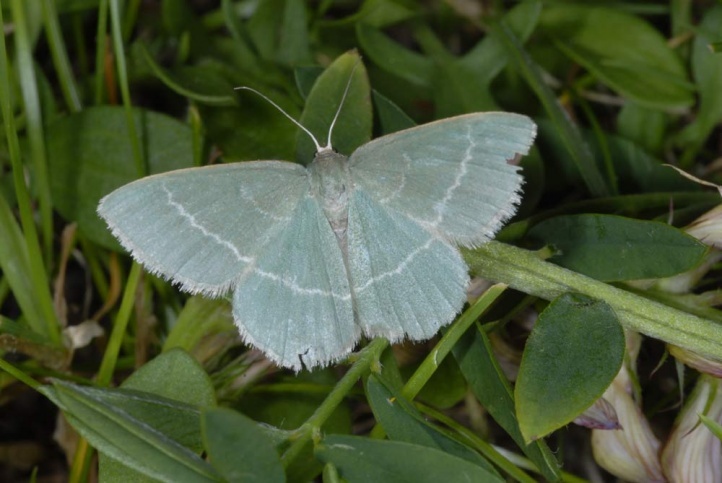 The moths fly depending on the altitude between late April or late May to early July, occasionally probably also in a partial second generation until August. The caterpillars might be expected from June to August or September. Chlorissa viridata has declined sharply due to the destruction of the nutrient-poor grasslands. Chlorissa viridata occurs in Europe and temperate Asia.